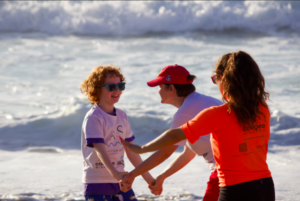 Erika started Autism Swim, a national organisation in Australia, to give children with Autism Spectrum Disorder the chance to enjoy swimming and surfing in a safe and fun environment. We activate leadership qualities in youth through learning from practical experiences in challenging environments. I have been an Autism and Behaviour Specialist for over a decade, and around 2 years ago, stumbled across the following statistics: Drowning accounts for approximately 90% of total deaths reported in children with autism ages 14 and younger. This translates to children with Autism Spectrum Disorder (ASD) being 160 times more likely to drown than neurotypical children. As a result of learning this, Autism Swim was founded. At Autism Swim (AS), we are national Water Safety and Swimming Specialists for individuals with Autism Spectrum Disorder (ASD). Autism Swim (AS) is a multi-disciplinary national organisation that represents the peak body for swimming and drowning prevention for ASD in Australia. 1. 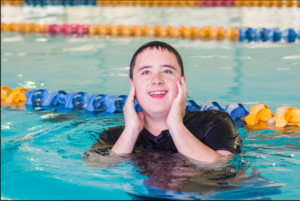 We work with swimming instructors and organisations, providing them with training, resources and support so that they are better geared to teach individuals with ASD and cognitive deficit. 2. We provide training and resources to parents so they can rest assured that they are doing all that they can to mitigate the associated risks pertaining to wandering and drowning. 3. We run a range of different programs around the country which teach our learners vital skills such as water safety and surf survival. Autism Swim saves lives. The statistics are the driving force, so we are constantly reminded of our underlying motivation. We get to hear people’s trials and tribulations, and then come together to problem solve. Every day we feel so fortunate to know we are making a difference and impacting on people’s lives in such a significant way.  I have always worked in the industry of ‘helping others’, with the overall goal being to ultimately increase the quality of life of those that I support. Through Autism Swim, I have been able to simultaneously apply my clinical skills to a pursuit and cause that I am incredibly passionate about. The tears of joy we get to see in the parents of our swimmers when they ride a surf board or even put their face under the water for the first time in their lives is a continuous and cherished reminder of the outcomes we are facilitating, and that the hard work is undoubtedly worth it. What have I learnt at Autism Swim? Working with an organisation that has such a profound impact has taught me so much about valuing life and the lives of everyone around us, irrespective of who they are. There are people that have been dealt an incredibly rough hand, and meeting some of these people has really changed my perspective on what is whinge-worthy. I wish more people got to see these typical hardships before they complained about their own lives. I have also learnt so much about the value of diversity in making the world an interesting place; life would be so dull if we were all the same. Even so, irrespective of diagnoses or IQ, there are some basic desires – to be heard, to be understood and to have the chance to enjoy life – that everyone shares. I believe it is up to us to make sure everyone is afforded these basic rights. Finally, you can’t put a price on what it feels like to feed your soul on a daily basis. If something doesn’t sit well with you, deciding to do something about it could be the most worthwhile thing you ever do. Autism Swim has inspired me to continue making a difference. Encouraging others to facilitate change is a huge part of what we do. If you feel passionate about something, decide to take action. There are enough people working in areas that don’t give them an intrinsic satisfaction and/or areas that don’t necessarily make the world a better place, so why not choose to walk down the brave and noble path instead. Don’t do it to clear your conscience or to put it on your social media, do it because you fundamentally believe in it to the core. We know the type of legacy we want to leave behind, so encouraging others to find their own will allow us the opportunity to continue to make a difference beyond Autism Swim. Erika Gleeson is a Disability Specialist and the founding Director of Autism Swim. Erika is a nominee for Young Australian of the Year (2016 and 2017), Pride of Australia Award (2016), and NSW Young Achievers Award (2016 and 2017). She has worked extensively in the disability sector nationally and internationally, and is a renowned speaker at conferences around the country.